Follow this tutorial, http://setup-steps.blogspot.com/2013/07/utility-tools-for-java-based-development.html, to get essential tools to assist you. Close 7-zip when you are done. 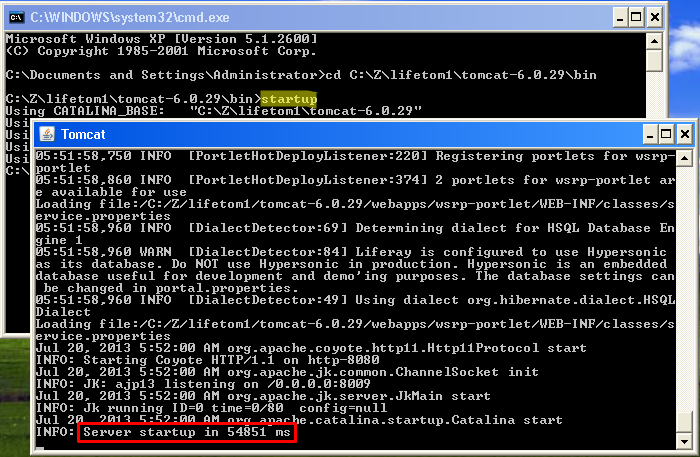 2) Using File Explorer, browse the Tomcat bin path. Type: cd<space> and paste the path. 3) Start the Tomcat Server. 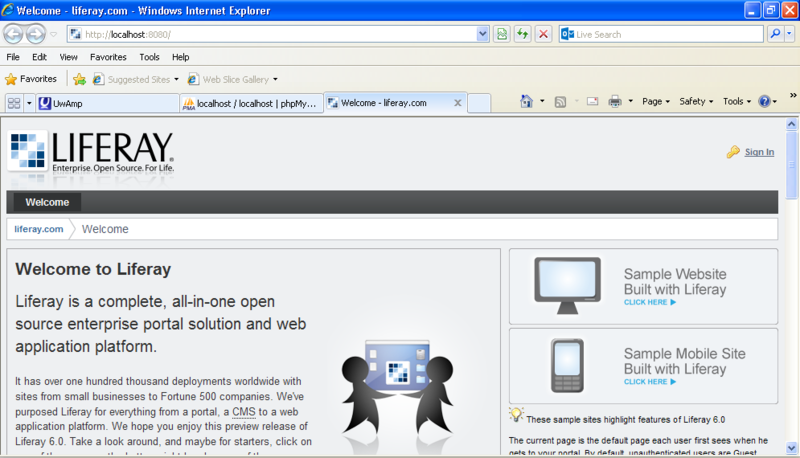 4) Wait for Liferay Portal front page to be automatically opened by a Web Browser at the URL http://localhost:8080.